Updated March 2, 2017: Commissioners want further input from the community and referred this for discussion at the next Neighborhood and Community Affairs Committee meeting on March 17th. Notices will be sent to the area homeowners associations to ensure they are aware and give comments. Miami Beach City Commissioners will determine the fate of the tree canopy on Alton Road between Michigan Avenue and 63rd Street. The Florida Department of Transportation (FDOT) will begin reconstruction of that stretch of road in 2020. The City has requested FDOT raise the roads to 3.7 feet NAVD (which, in this case, is 1.5 to 2.0 feet above the existing roadway) in accordance with its Storm Water Management Plan. At the same time, Miami Beach officials asked FDOT to preserve all of the existing canopy trees. 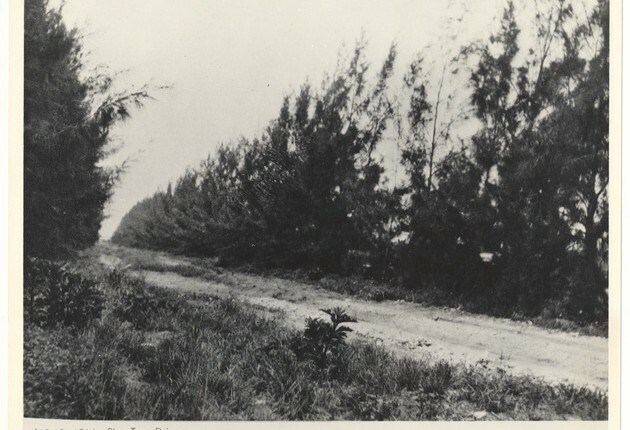 Now in the late phases of design, FDOT has indicated that elevating the road will impact many of the trees along the roadway and they have asked for guidance on how to proceed. In a memo to Commissioners, City Manager Jimmy Morales says the two options are to save all of the existing trees “to the maximum extent practicable to include not raising Alton Road” or raise the road “at all costs, regardless of the impact to trees.” He notes, “Due to the overhead power lines, replacement trees of similar type may not be allowed to be replanted in the location of where the large canopy trees existed.” City Commissioners will consider the options at tomorrow's meeting which begins at 8:30 am at City Hall. If you’d like to send an email with your thoughts, you will find addresses for the Commissioners here.